Life Scientists: Why Not Consider the Cannabis Industry? Life Scientists:Looking for a Job? Why Not Consider the Cannabis Industry? According to a recent article, the 2013 to 2014 US market for legal Cannabis (medical and recreational) grew 74% from $1.3 billion to $2.7 billion. Industry analysts predict that the legal marijuana industry is (and will continue to be) the fastest-growing industry in the US over the next 5 years with annual revenues topping $11 billion by 2020. And, as the industry grows so will employment opportunities. At present, salaries associated with various job functions in the Cannabis industry range from $50,000 to $90,000. As many businesses that support the Cannabis industry continue to grow, the competition for qualified employed will intensify and salaries will concomitantly rise. Currently,, there aren’t enough trained job candidates to fill the many job openings at Cannabis companies. I am sure that many of you who hold graduate degrees in the life sciences are wondering why I am pitching jobs in the Cannabis industry. First, traditional jobs for PhD-trained life scientist are getting scarcer and the election of Donald Trump suggests that this trend will not be reversed anytime soon. Second, consider that growing and cultivating marijuana and extracting cannabinoids (the pharmaceutically active molecules in Cannabis buds) require a background in laboratory methods, chemistry, biology and in some cases plant science. For those of you who may not know, the medical Cannabis market is focusing almost exclusively on cannabis extracts and vaporization of these extracts (rather than smoking) is the preferred delivery methods. This suggests that those of you with backgrounds in biomedical engineering and medical devices can leverage your expertise and skills to obtain jobs in the delivery side of the cannabis industry. Third, the expansive growth and sheer economic size of the Cannabis industry suggests that other jobs that require a life science background are likely to emerge. 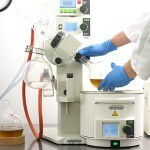 These include quality control/assurance jobs for strain identification, diagnostic jobs to determine THC levels/intoxication, molecular biology and bioinformatic jobs to continue to explore and unlike therapeutically relevant molecules from the Cannabis genome and synthetic biology jobs to increase cannabinoid yields and reduce production costs. Finally, there is currently a dearth of qualified job candidates with scientific backgrounds to fill entry level grow and extraction jobs in the Cannabis industry. At present, the industry is mainly dominated by long time Cannabis growers, people who use marijuana on a regular basis and some moxy business people/investors who see an an enormous upside for the Cannabis industry. Put simply, now is the time to get in on the ground floor of an industry that is exploding and will ultimately become a legal multibillion dollar a year industry. While I’m sure that neither you nor your parents/family envisioned a career in Cannabis, the jobs are there and ripe for the picking (pun intended).